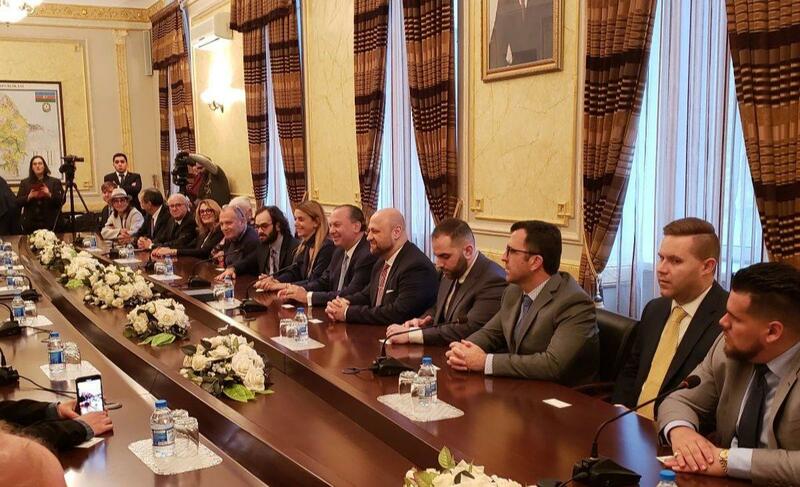 I recently traveled to the nation of Azerbaijan on a remarkable trip which has left an indelible impression on me, especially as I consider the state of interfaith dialogue and the role of religion in the West, and in America in particular. I was invited to lead this trip with a dozen significant pastors and ministry leaders. Most were from the U.S., one was from Brazil, and one from Dubai. 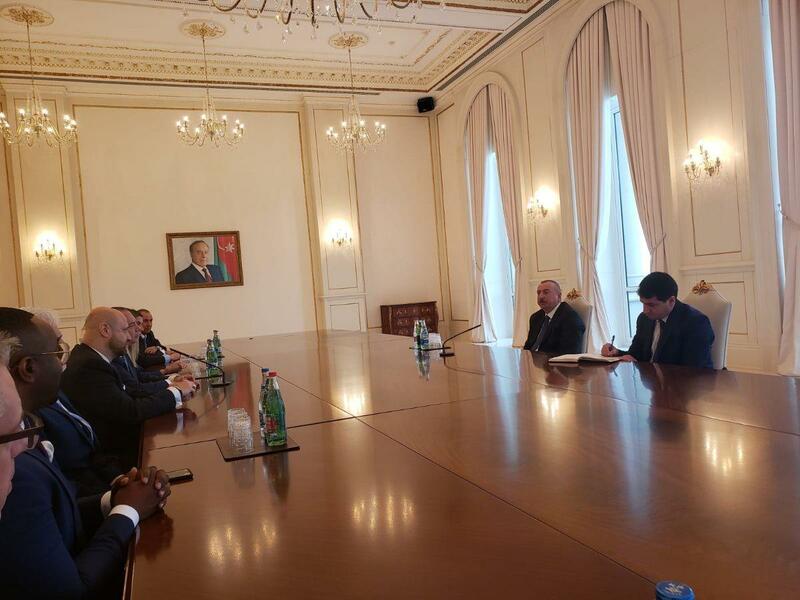 Literally, as soon as we landed, we were whisked in a motorcade to the Presidential Palace to meet with His Excellency, President Ilham Aliyev. Once the initial greetings took place, the President sat with us at his giant conference table, welcomed us, and discussed his hopes for our trip. Several things amazed me about our meeting. First, I found the President to be an extremely humble and gracious host. There was no formality or showiness to him. He was genuine and spoke from the heart. He shared about Azerbaijan’s commitment to religious liberty and mutual respect among the various religions. This is especially amazing given the fact that the country is 96% Muslim and primarily Shiite. He shared the concern about areas of our world where Islamic extremism has taken hold, and how his country is committed to not allow these extremist forces to take root in Azerbaijan. He spent almost 45 minutes with us in earnest dialogue. We then went for a time of photos, and I was again so impressed how he took his time to pose with each of the members of our delegation personally and have brief conversations with all of us. This initial meeting began a whirlwind of 4 days of strategic meetings and briefings throughout the nation. 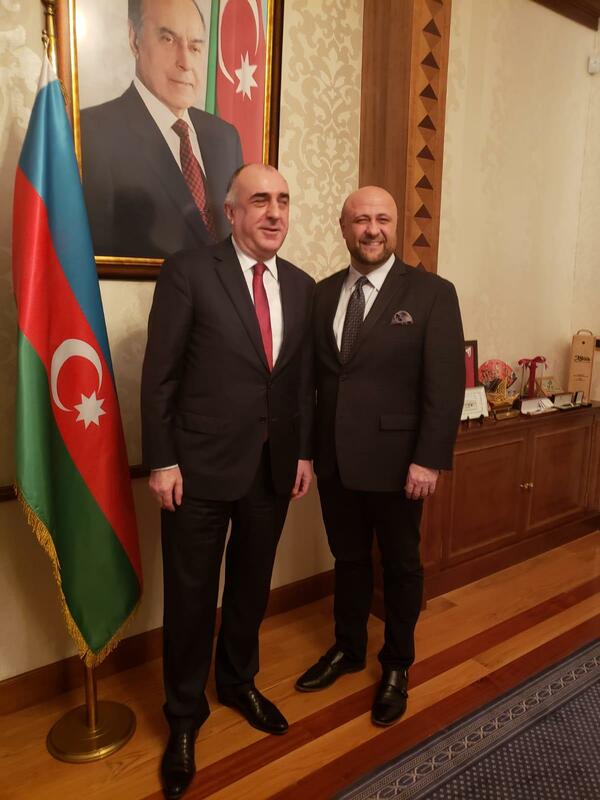 Discussing multi-culturalism in Azerbaijan with Minister of Foreign Affairs Elmar Mammadyarov. We went to memorials of those who have been killed in recent wars and attacks. We met privately with Muslim, Catholic, Orthodox, and Jewish leaders. We took part in the International Conference and Exhibition on “From Interreligious and Inter-Civilizational Dialogue Towards Cooperation”, which welcomed over 150 religious leaders as delegates. 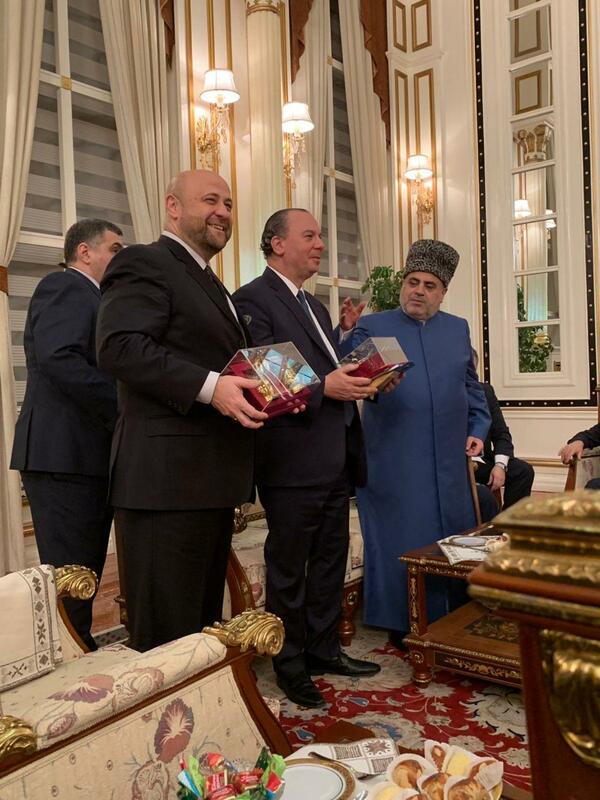 We were welcomed to a feast at the Palace of the incomparable Sheikhullslam Allahshukur Pashazade, Chairman of the Caucasus Muslims Board. We were hosted for an opulent feast by Sheikhullslam Allahshukur Pashazade at his Palace. On the final day, we traveled to the town of Guba – and visited the community known as the “Mountain Jews” – a Jewish community who directly trace their existence there back to the time of the Babylonian exile, 2300 years ago. They are one of the lost tribes dispersed during the exile, settling first in Persia, and then coming to settle in what is now modern-day Azerbaijan. In the Synagogue in Guba, the home to the “Mountain Jews”. 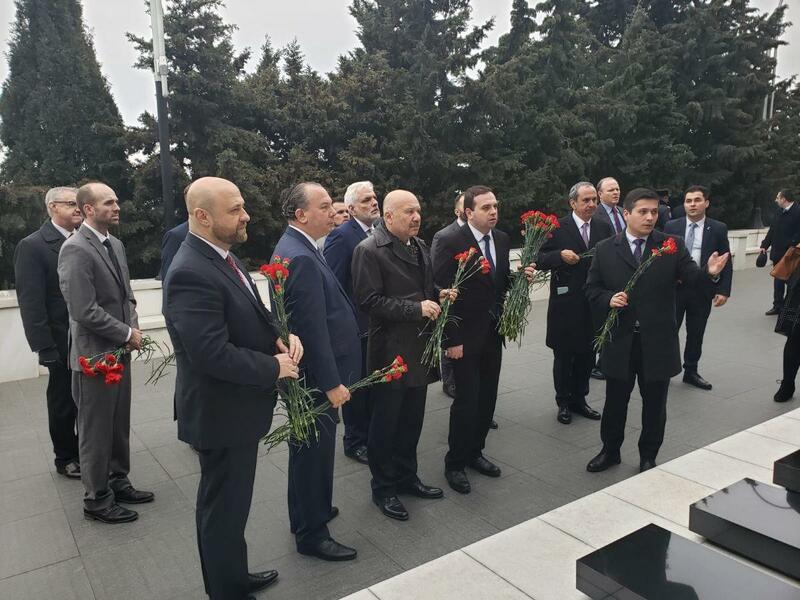 First, I was amazed at the respect and honor the Azerbaijanis paid to their dead countrymen. We spent a great deal of time at two memorials for those who were killed. What amazed me was that they knew the names and stories of these dead heroes, and told their stories as though they were their own. 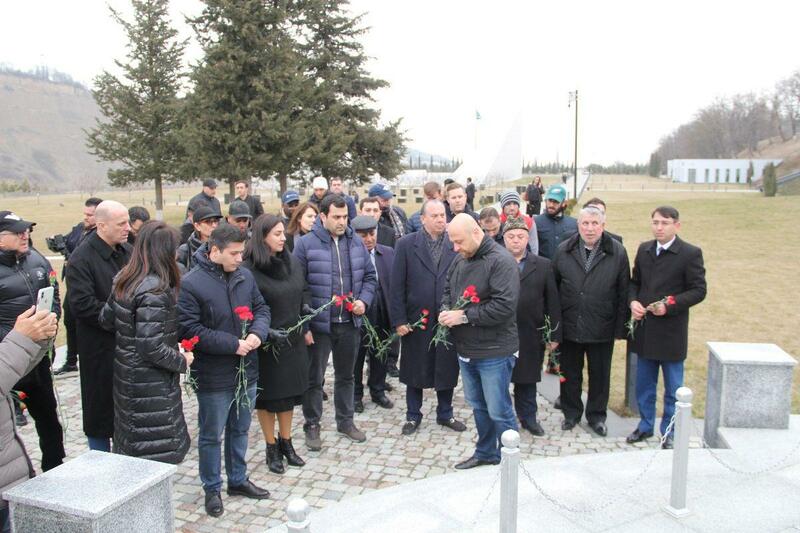 Honoring the memory of the slain of Azerbaijan. 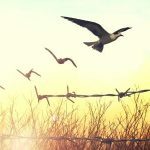 They shared with such an empathy and connection with the history, that it became as though those who were dead were “still speaking” (see Genesis 4:10). The honor and respect that they gave to history was extraordinary to me, as I struggled to think of an American equivalent. At one of the memorials, the Muslim imam who was leading us asked me, an American evangelical, to pray a prayer of blessing over the memorial and the memory of the dead. Incredible! The Muslim imam asked me to pray at the Memorial site. Next, I was even more amazed by the mutual respect exhibited between the religious communities. Each community spoke and demonstrated such kindness and respect and understanding for the other belief systems, that it seemed to me that because each religious community spoke with kindness and honor about the other, religion as a WHOLE was more respected in the society in general. In other words, respect BETWEEN the religions created respect FOR religion within society. I appreciate the leadership and openness which Foreign Minister Mammadyarov gave to our mission. Finally, I was so encouraged to hear the unabashed support and friendship which this Muslim majority nation extends towards Israel. Prime Minister Netanyahu has visited this nation in friendship, and all the officials lost no time at all expressing their respect for and support of the nation of Israel. I was contrasting that to some of the recently elected members of the U.S. House of Representatives, whose words and actions towards Israel have been shameful. Here is a Shiite majority Muslim nation, bordering IRAN, that has the moral clarity to courageously speak out on behalf of the Jewish State – while these neophyte political opportunists in America have the hubris to attack the only fully functioning democracy in that part of the world. Inside one of the Jewish dayschools of Baku. The government gave this land to the Jewish community so that the Jewish community could continue to educate their children. I am fully aware that Azerbaijan is not perfect. 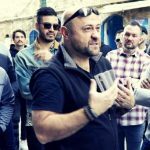 Predictably, my social media accounts quickly blew up with various “haters” who wanted to accuse me of being hoodwinked on a “whitewashing” tour designed to cause me to overlook challenges Azerbaijan is experiencing, such as its ongoing conflict with neighboring Armenia, or the treatment of some evangelical church groups or leaders in the nation. Is Azerbaijan utopia? Nope. It isn’t. Nowhere this side of Heaven is. 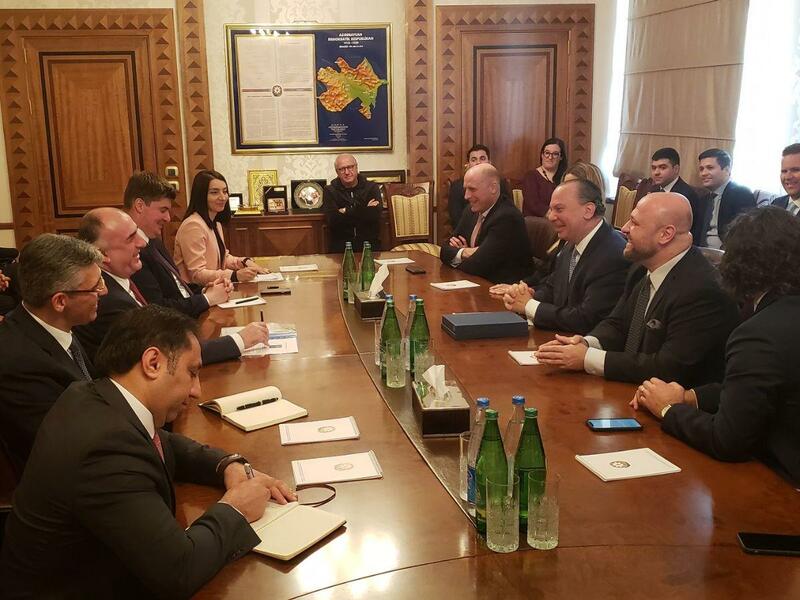 And I will keep looking deeper into issues in Azerbaijan, and, when given the opportunity, will speak out on behalf of those issues which I believe need to be addressed, just as I do with American issues or Israeli issues, or issues with any part of the human family. We should look and work for justice for all peoples to the utmost of our ability, recognizing that perfect justice for all is an ideal that will never be reached, and to set that as the goal is to create an unrealistic and therefore eventually toxic climate of disappointment. 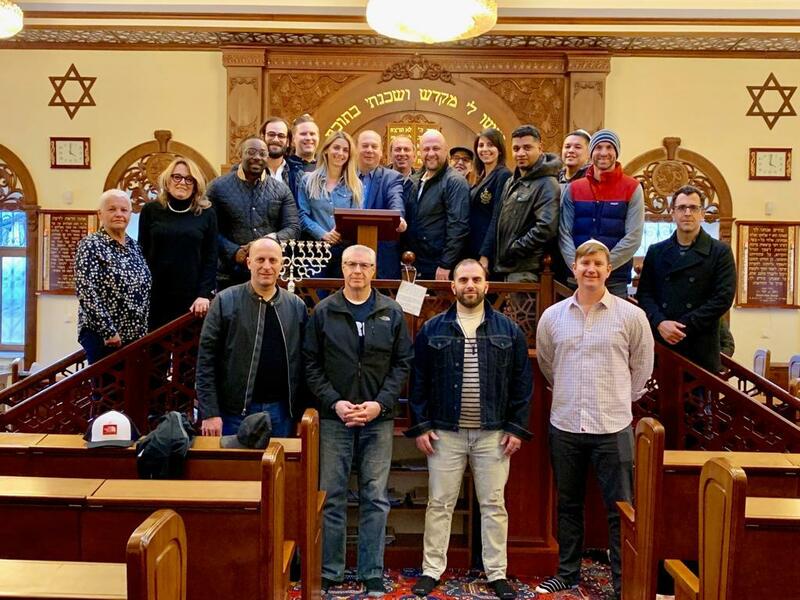 So honored to have 12 amazing pastors join this trip with me, and thankful to the Foundation for Ethnic Understanding for sponsoring the mission. Azerbaijan is not perfect, but I repeatedly found myself sad that my own nation, America, has lost virtually all respect for religion as a force for good, and we are daily facing the media’s frenzy to pit one group against another in a constantly growing culture war. When a nation is at war with itself, no one wins. Azerbaijan is not perfect, but we Americans have much we can learn from it. To watch a special video report from CBN News on the recent Azerbaijan mission, click here.